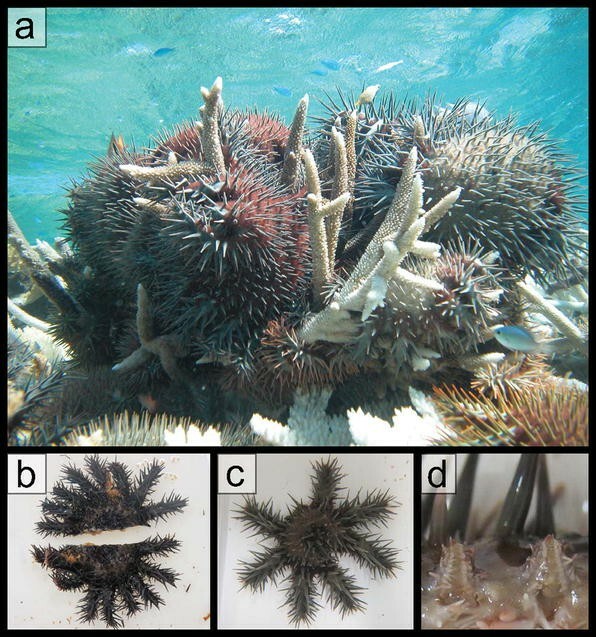 Population outbreaks of the coral-feeding crown of thorns starfish, Acanthaster planci (Fig. 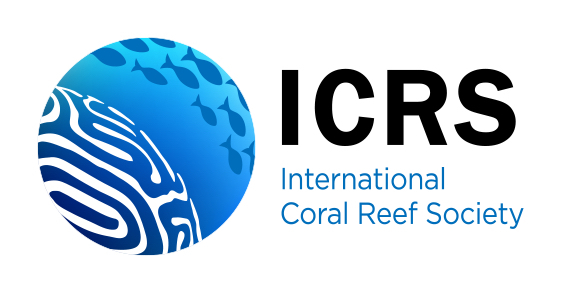 1a), are, with storms, the most significant disturbance on coral reefs in the western Pacific (e.g., De’ath et al. 2012). 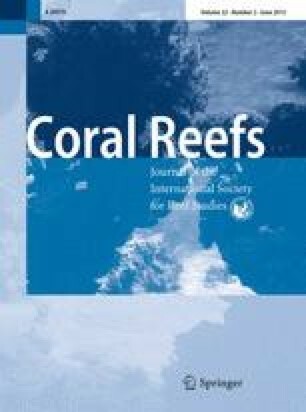 Controlling outbreaks of A. planci is therefore increasingly viewed as a key strategy in reducing coral loss and reef degradation. Initial control efforts in the 1960s involved sectioning starfish and leaving them in situ, but there were subsequent anecdotal reports that A. planci could regenerate from small pieces of remnant tissue. Regeneration is a common characteristic amongst echinoderms as a form of asexual reproduction, or following loss of appendages through predation, stress or disease. Regeneration has been recorded in at least 21 species within the Asteroidea (Emson and Wilkie 1980). The capacity of A. planci to regenerate remains controversial. While A. planci is not known to undergo asexual reproduction, sectioned animals have been reported to survive for prolonged periods (Sweatman and Butler 1992). We cut four individuals into two equal halves (Fig. 1b), and another four individuals into two sections approximating 2/3 and 1/3. Animals were kept in individual flow-through tanks and photographed over a 7-week period. A total of 100 % mortality was observed in all four 1/3 segments within 3 d. In contrast, 75 % of both halves and 75 % of 2/3 segments survived. At 7 weeks, the wounds appeared to be greatly healed (Fig. 1c) and some of the segments were regenerating new arms (Fig. 1d). These results provide evidence that A. planci can regenerate from extensive tissue loss, but survivorship appears to be dependent on maintaining at least part of the central disc. Sectioning A. planci as a measure to control populations should be avoided in the absence of further knowledge regarding the survivorship, feeding ability and reproductive capacity of regenerated individuals. Funding was received through the Australian Museum’s Lizard Island Research Station. Photo credit 1a: Dr. Katharina Fabricius, Australian Institute of Marine Science.